Wrapped Digital Paintings from the SoleilArt Collection are also available in miniature format (8"x8", 8"x 12", 8" x 14") as limited editions for $125.00. Add a vivid bold canvas on a stand as an accent on a table, or to fit the perfect spot on a wall. Collect "Minis" and Make a Collection! 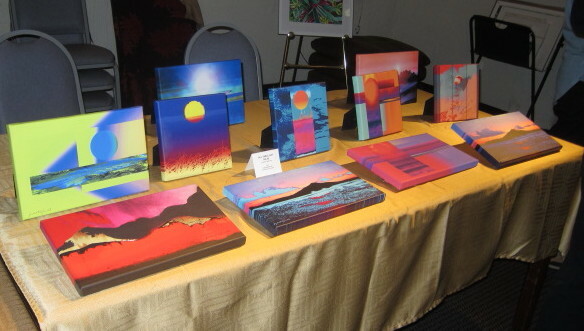 Mix and match a variety of miniature canvases to hang on your wall or give as a gift.